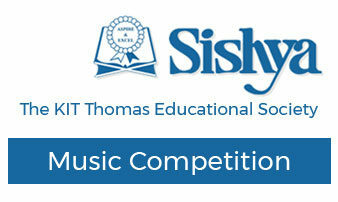 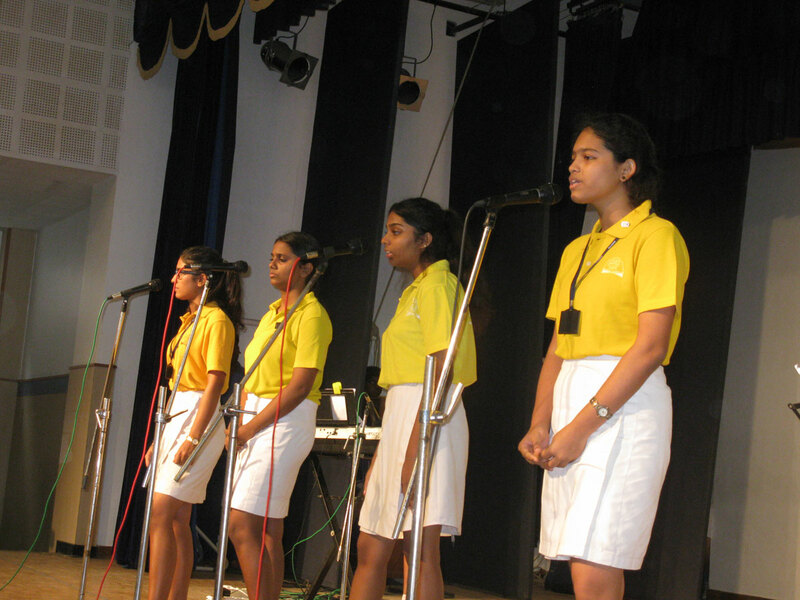 This year the music competition was held on the 3rd of November, 2017. 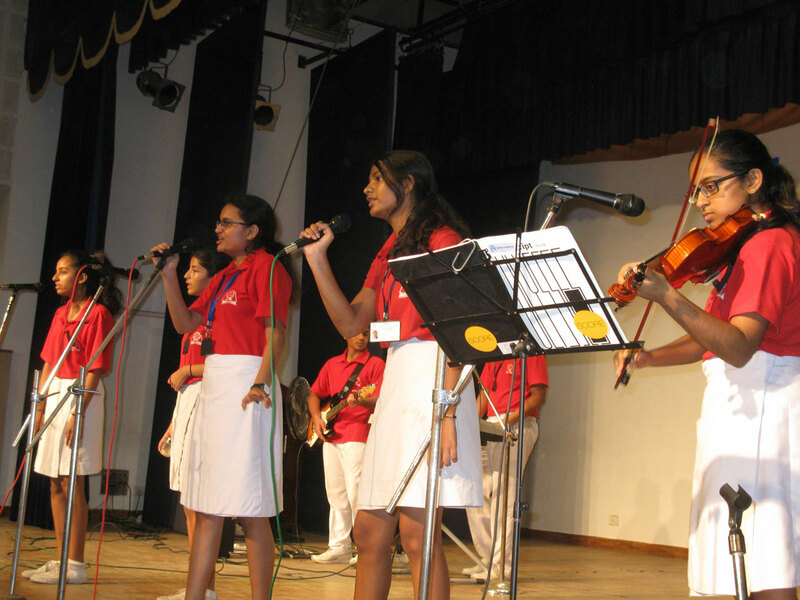 The judges for the event were Ms. Chitra Ganeshan and Ms. Janani Rajan for the Indian Music section and Mr. Mervin Thomas for the Western Music section. 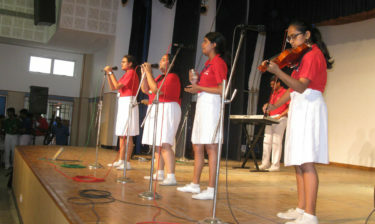 In the Indian Music segment, Godavari started the day’s competition and they were followed by Cauvery, Narmada and finally Sutlej. 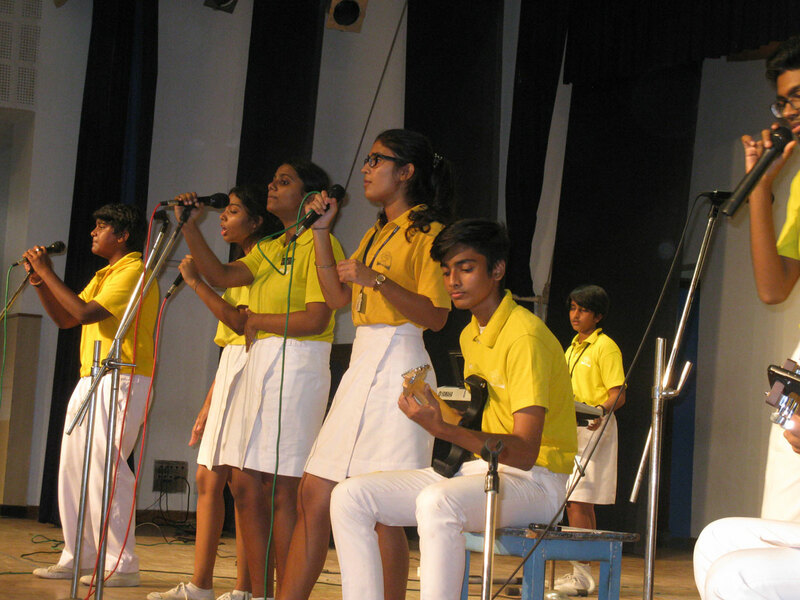 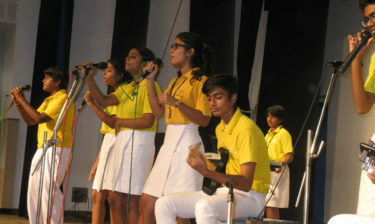 Sutlej house dominated the scene and were clear winners in the group segment. 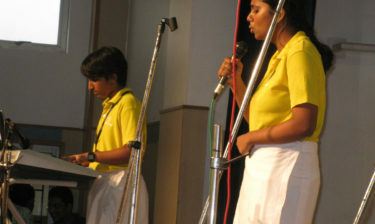 They were followed by Narmada, Godavari and finally Cauvery. 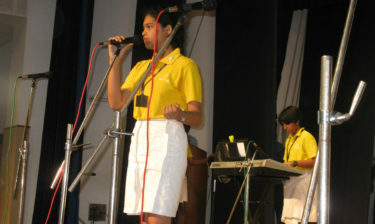 Nidhi Sajit Menon, also of Sutlej won the Indian solo prize. 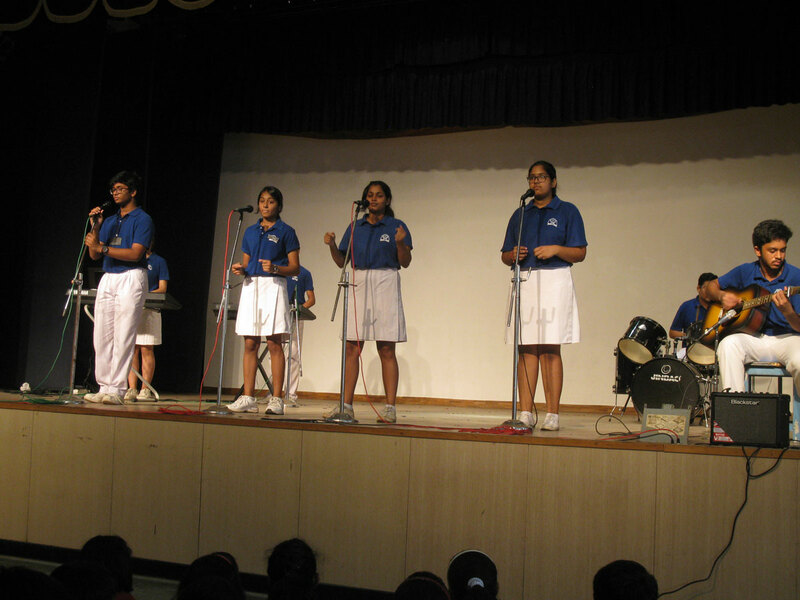 In the Western music segment, the houses followed the same order as the Indian segment. 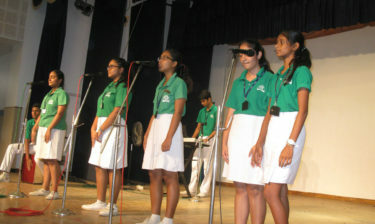 Here too, Sutlej house came up on top and took first position. 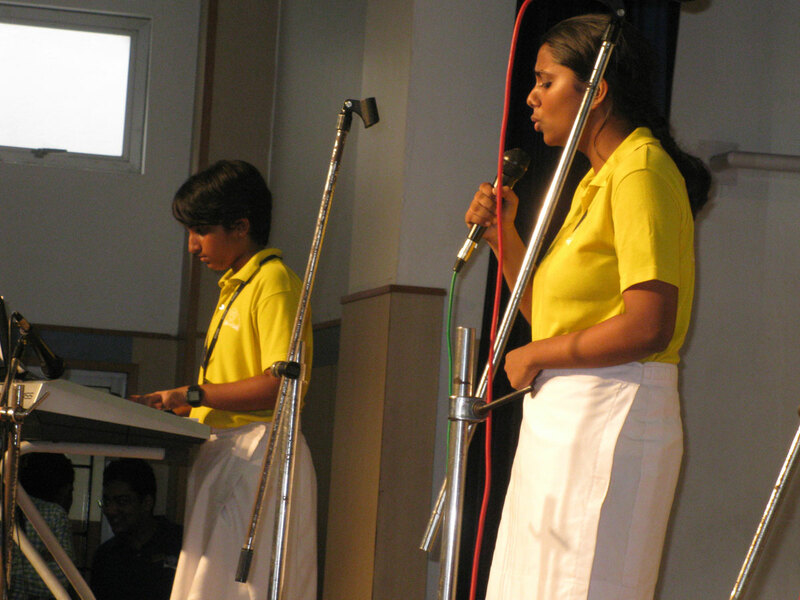 Second place went to Narmada and Godavari came in third. 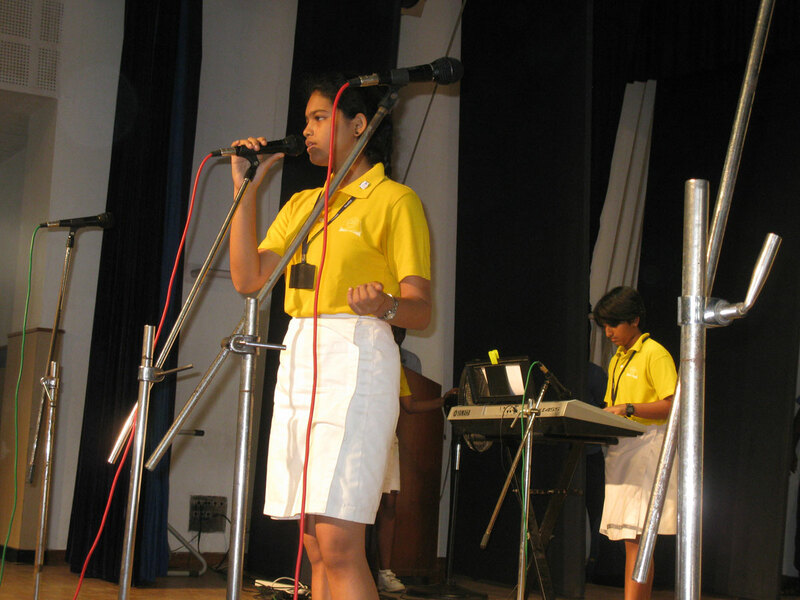 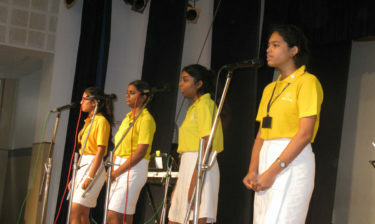 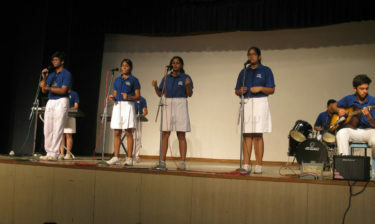 Maya Rebecca Verghese of Sutlej house was adjudged the best soloist in the western music segment. 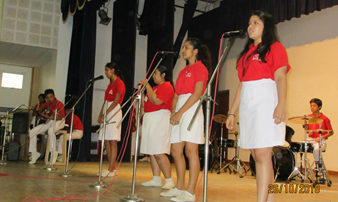 The afternoon ended on a high note as well, with Sutlej winning overall and Narmada coming in second followed by Godavari in third place. 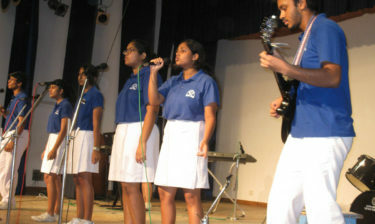 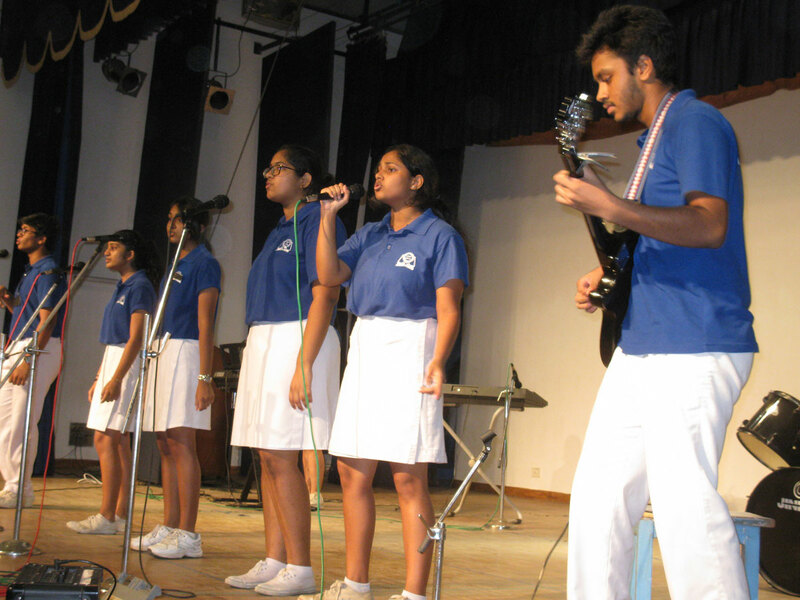 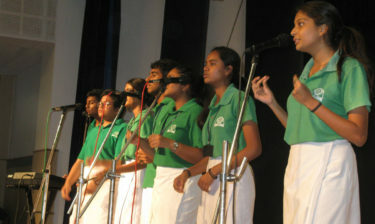 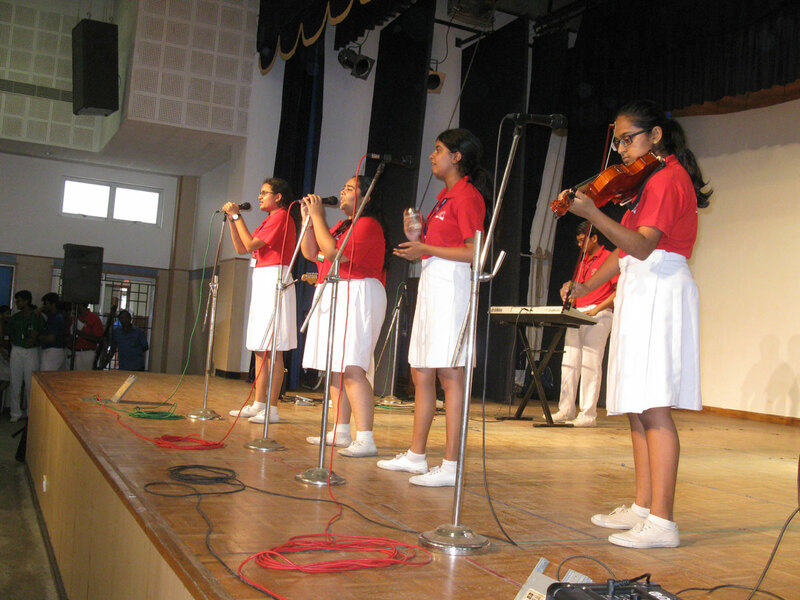 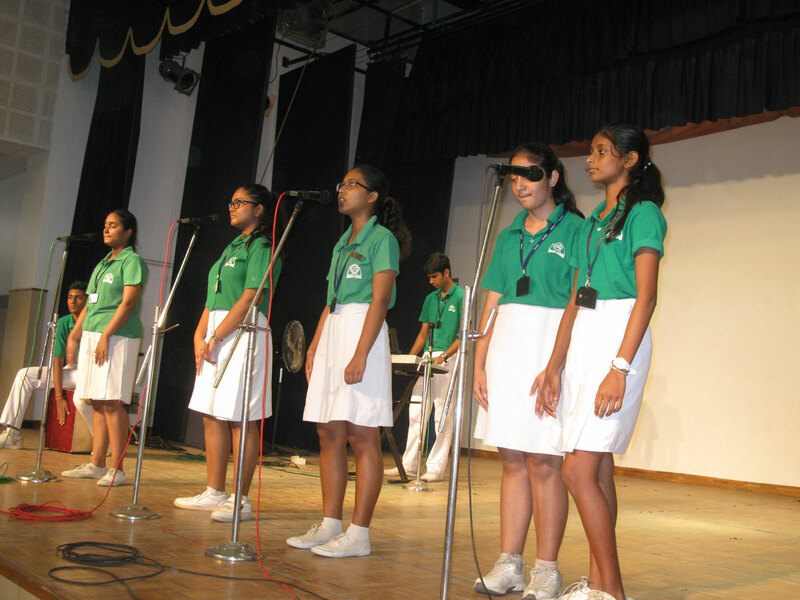 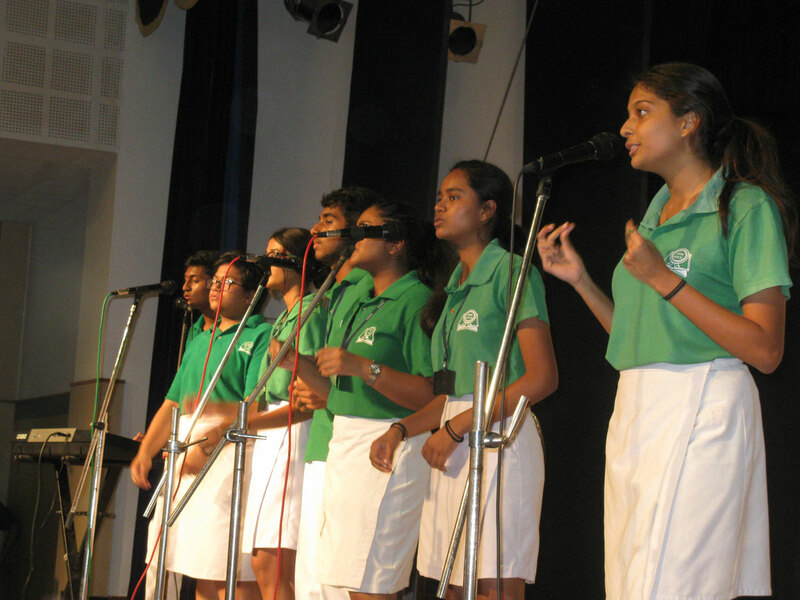 This year the music competition was held on the 26th of October, 2018. 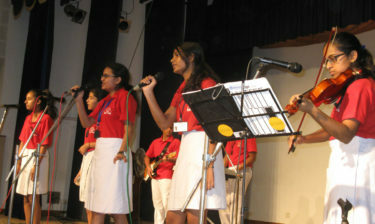 The judges for the event were Mrs. Chitra Mohan for the Indian Music section and Mrs. Ameira D’Costa for the Western Music section.